We conducted an air dispersion modeling study of total toxic chemical emissions from three municipal waste incinerators in Jacksonville, Florida. The time period of interest was the early 1960's. Emissions were generated as a result of the incineration of 200,000+ tons of municipal waste per year at the three incinerator sites. 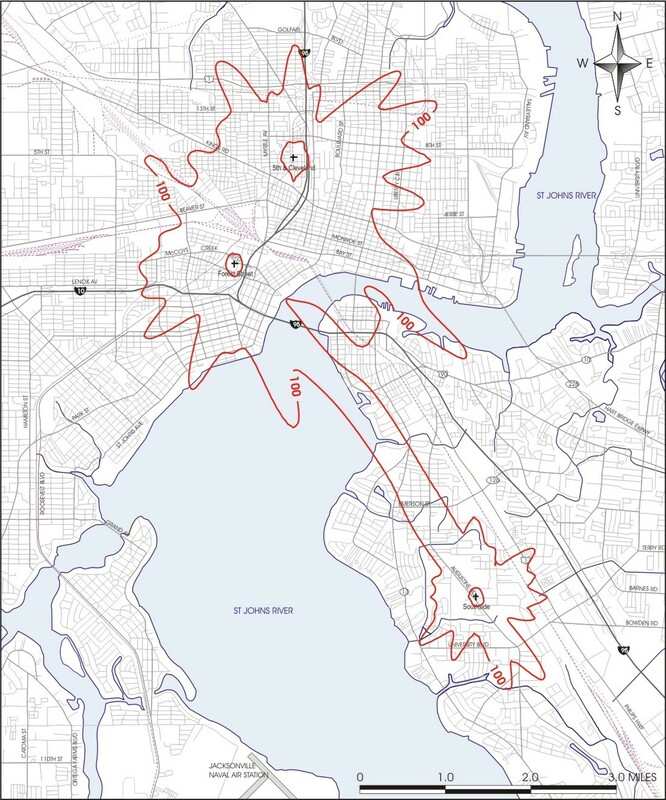 Shown below is a map depicting the extent of the five-year average total toxic chemical 100 microgram per cubic meter isopleth line in Jacksonville. The five-year period that was modeled was 1961-1965. A high quality PDF version of the map is available here.